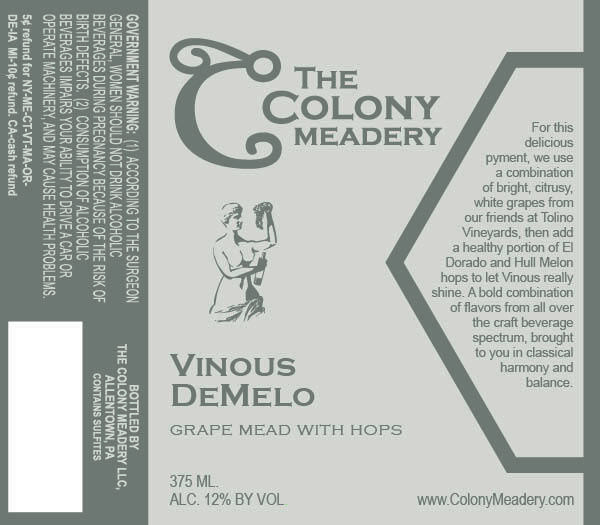 Our friends over at The Colony Meadery in Allentown are set to release two new meads this month and we have the details on each. Vinous DeMelo is a pyment made with Vidal Blanc grapes from Tolino Vineyards in Bangor. They then hopped it with German Hull Melon and El Dorado hops to complement the citrusy grape varietal. In what amounts to a mixture of mead, beer, and wine ingredients, this sounds like it could be really fantastic. It comes in at 12% ABV and should be available in the next week or two. The second mead, Let The (Habanero Mango Through) is a new twist on their regular mango mead, which is quite delicious in its own right. 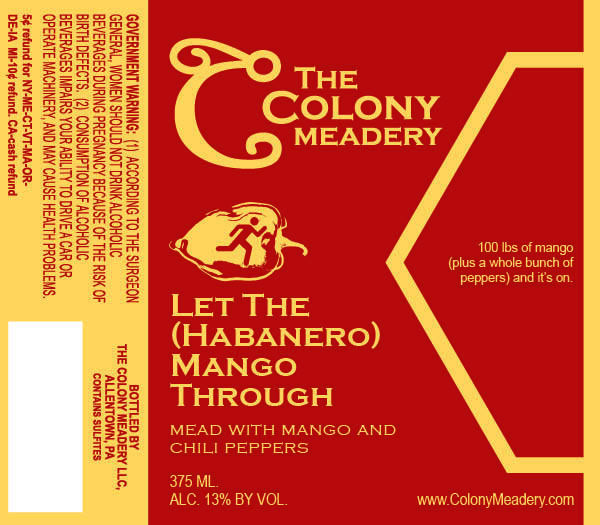 Coming in at 13% ABV, the mead utilizes 100lbs of mango and an untold amount of peppers to lend it a spicy kick. This one should be out around the end of the month. There’s a few other goodies coming down the line, but you’ll have to check back to hear about those.